July 2, 2018 – GREAT NEWS for all of you that are working on gym design projects – we’ve just added tons of new gym equipment! Whether you are looking to create gym designs for clients or the perfect home gym for yourself, you’re going to love all the new exercise equipment. All of which have our powerful Replace Materials feature to customize the color and finishes. 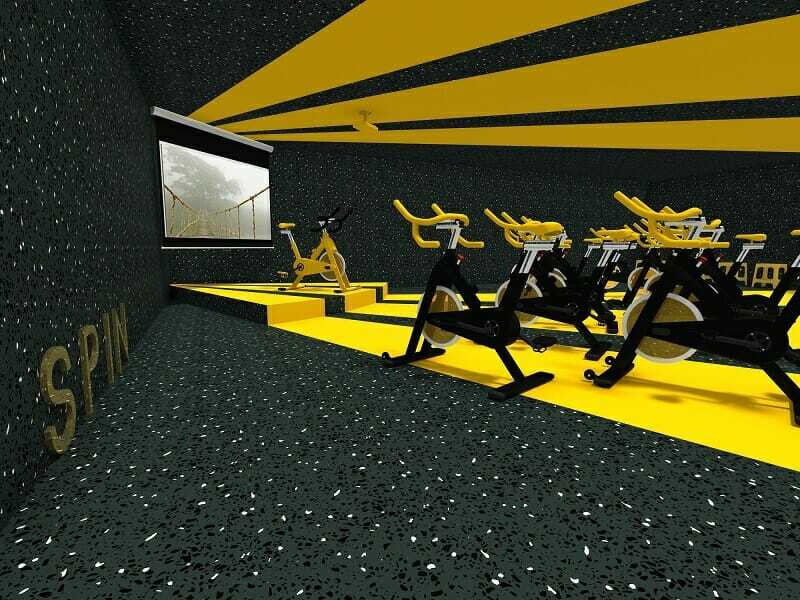 The new gym equipment is available with a RoomSketcher Pro Subscription. With RoomSketcher Pro, you get access to our complete product library, plus features like high-resolution rendering, 3D Photos, 360 Views, Live 3D Floor Plans, and much more! To learn more about RoomSketcher Pro, see our Plans and Pricing. 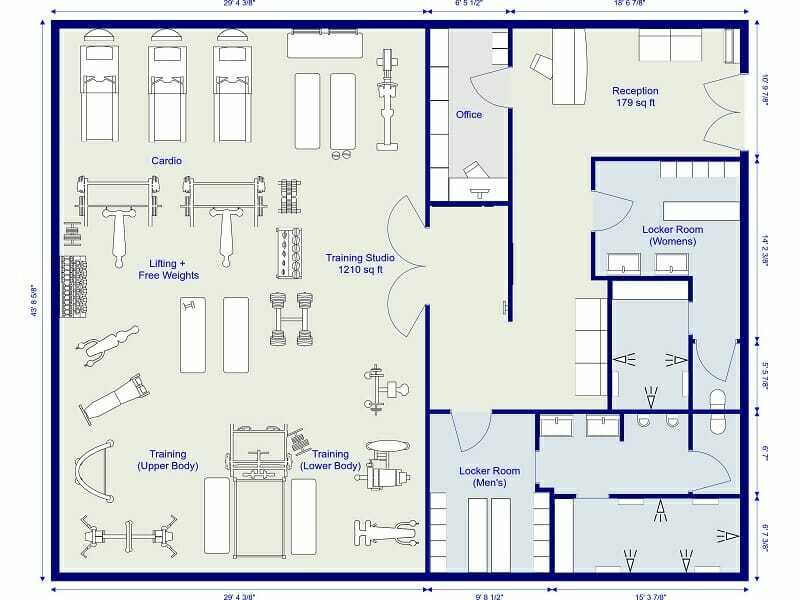 The RoomSketcher App is an easy-to-use floor plan and home design tool that you can use as a gym planner. 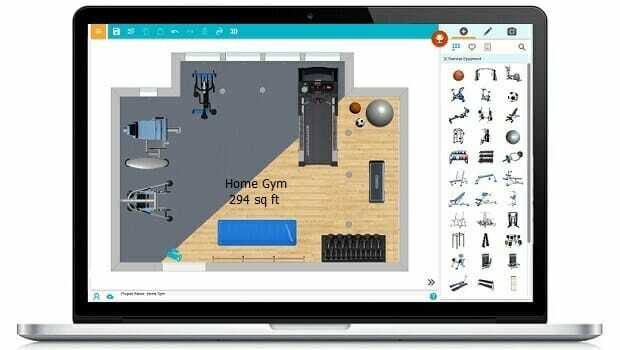 Draw your gym floor plan, create equipment layouts, furnish and decorate, and see your gym design in 3D. 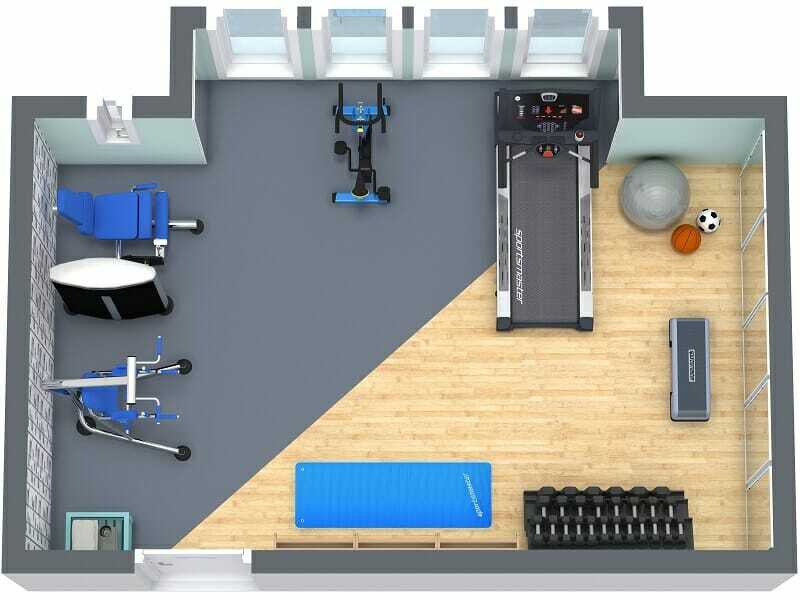 Learn how to design your gym with RoomSketcher today!